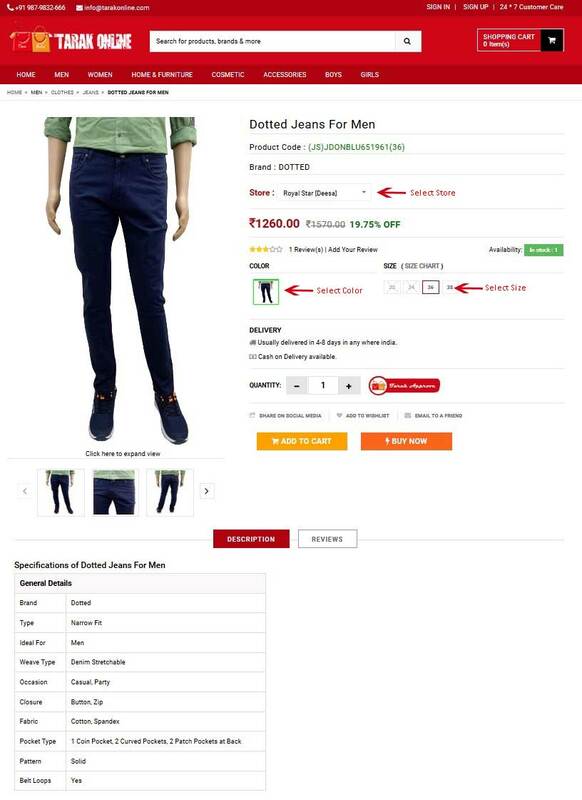 How to Buy from Tarak Online? 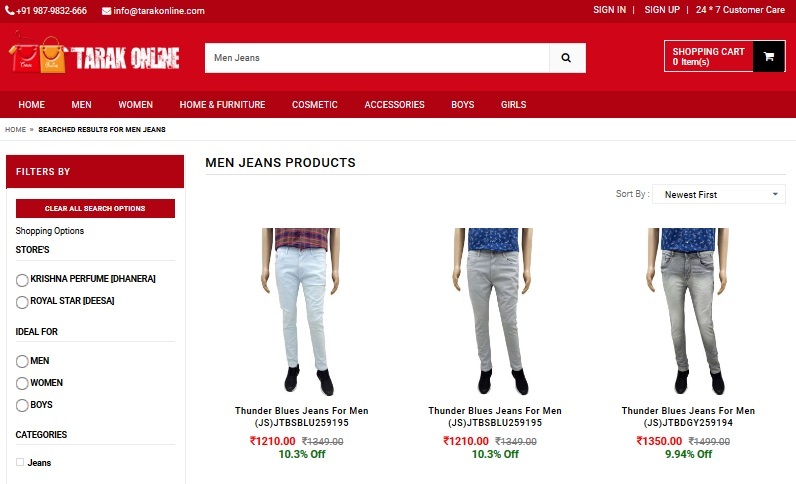 Tarakonline.com is an e-commerce company through which we can shop for various categories including mobiles, cameras, computers, healthcare and personal products, home appliances and electronics, stationery, perfumes, toys, apparels, shoes – and many more. 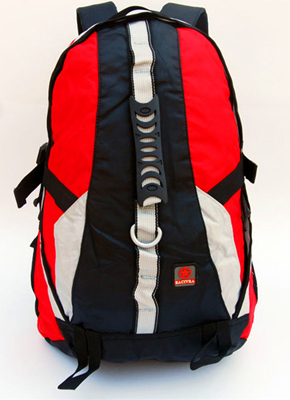 It gives you many ease options like Cash on Delivery, a 30-day replacement policy and attractive price offers. 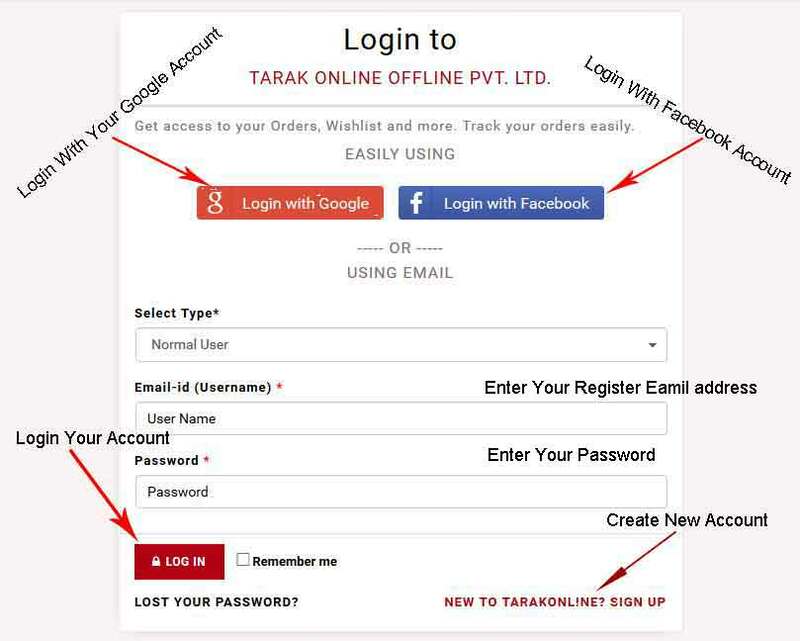 The series of steps can be followed to make an easy and a safe purchase from the Tarak Online. Step 1 : Logon to the Official Website of Tarak Online ( www.tarakonline.com ). Step 2 : Click Here Menu Part and Select Any Category (Like. Men > Clothes > Jeans). 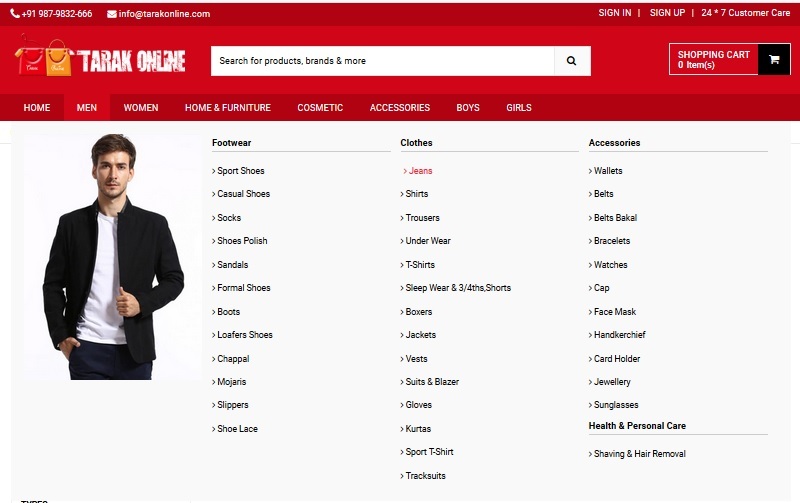 Step 3 : Either you can Type the Item you want to search in the "Search Option" at the top or you can search the item by Selecting the appropriate Categories just below the search option. 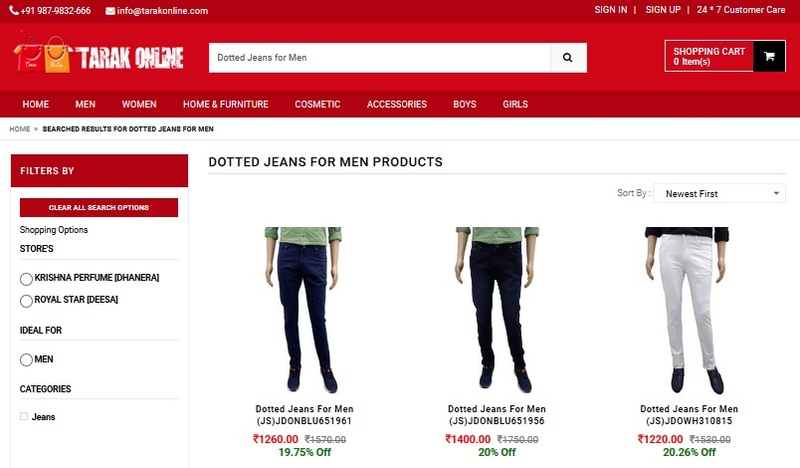 Step 4 : You will find the List of the Items you selected to search. Here I have selected "Krash V Neck T-Shirt For Men" and click on it. Step 5 : You will find the "Key Features" of that item and the "Specifications" of the item like "General Features" etc. Step 6 : You will select Store in the List of the Store where you purchase the product then you will select color, size and quantity. 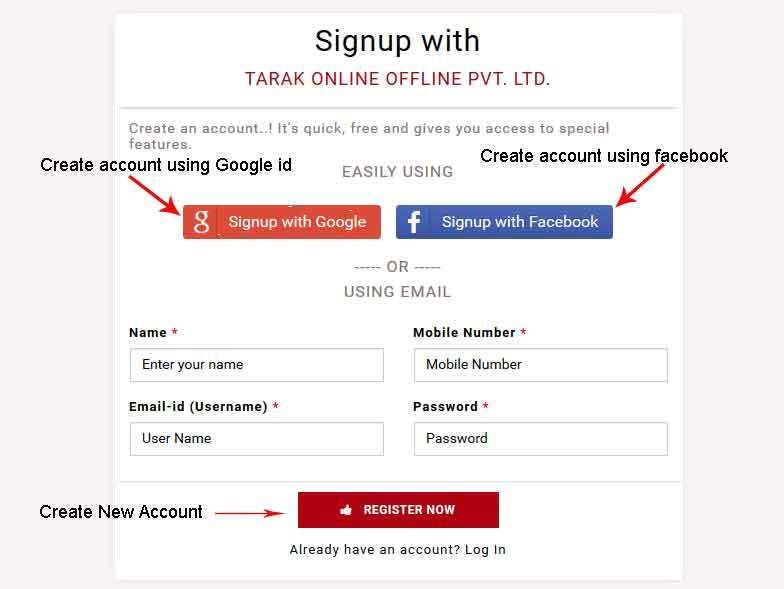 Step 8 : If You have already Register then login to your account in tarakonline.com Otherwise Create your Account in tarakonline.com. Fill up your registration detail then Click on Create Account Button. 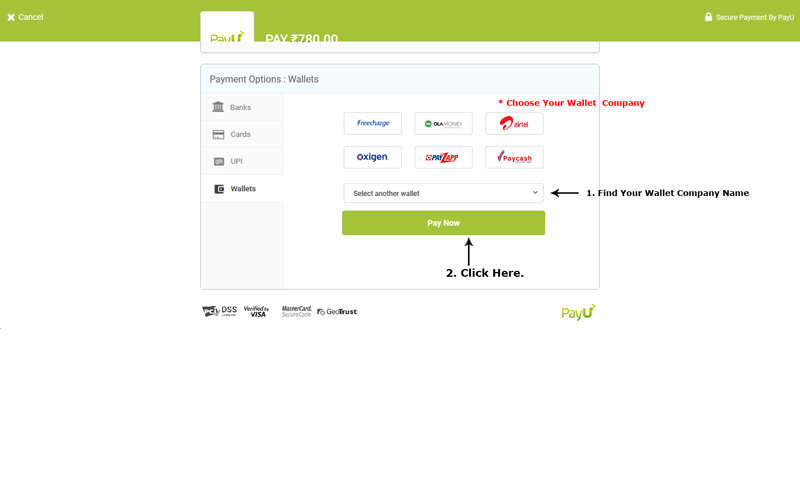 Step 9 : Now you need to select the "Payment Type" from the left panel. 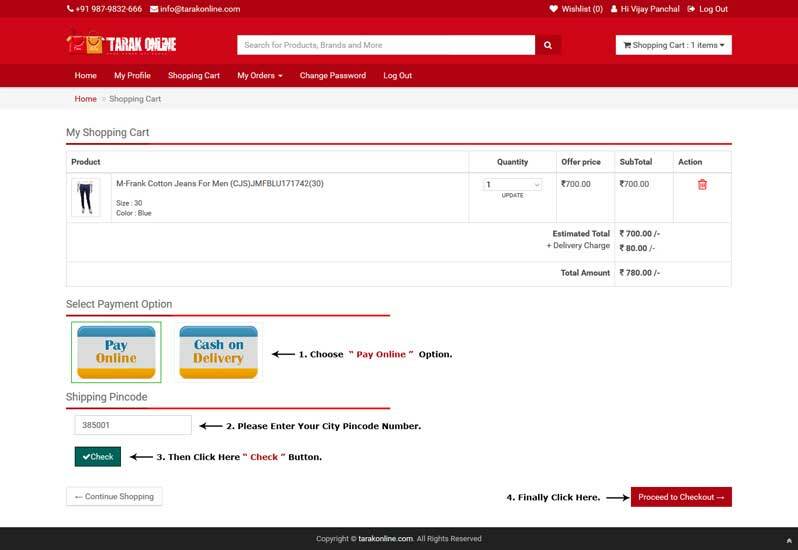 I have selected "Cash on Delivery" i.e cash will be paid on the delivery of the product. For Shopping Enter Your Shipping Pincode and click on "CHECK". View Your Shipping charge. Then Click on "PLACE ORDER" Button. 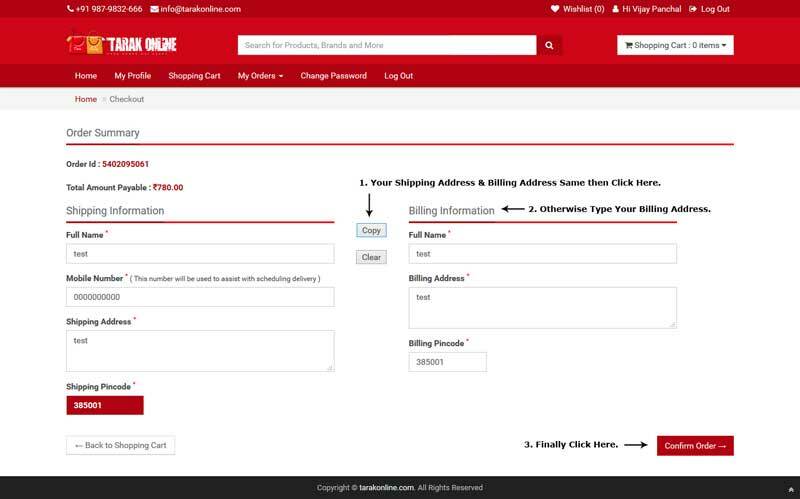 Step 10 : Fill up the delivery details and then click on "Order Now!". Step 11 : You can select other options available for the "Online payment" then cash will be paid using Debit Card, Credit Card, EMI, Net Banking. For Shopping Enter Your Shipping Pincode and click on "CHECK". View Your Shipping charge. Then Click on "PROCEED TO CHECKOUT" Button. 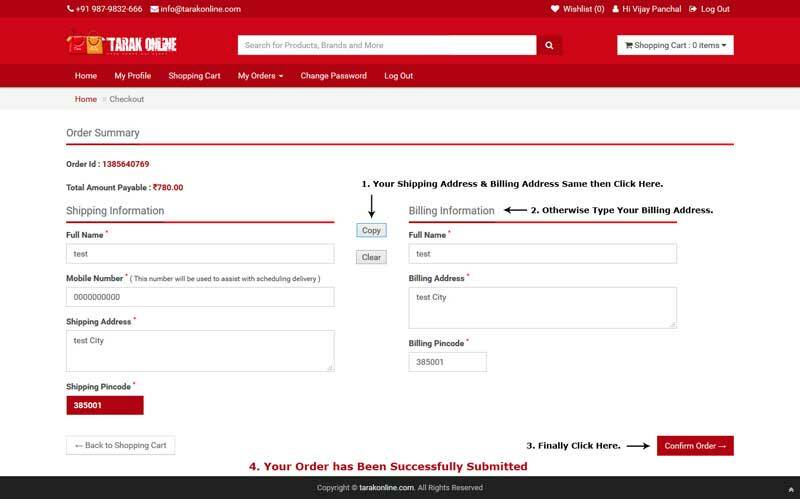 Step 12 : Fill up the delivery And Shipping Address details and then click on "Confirm Order Now!". 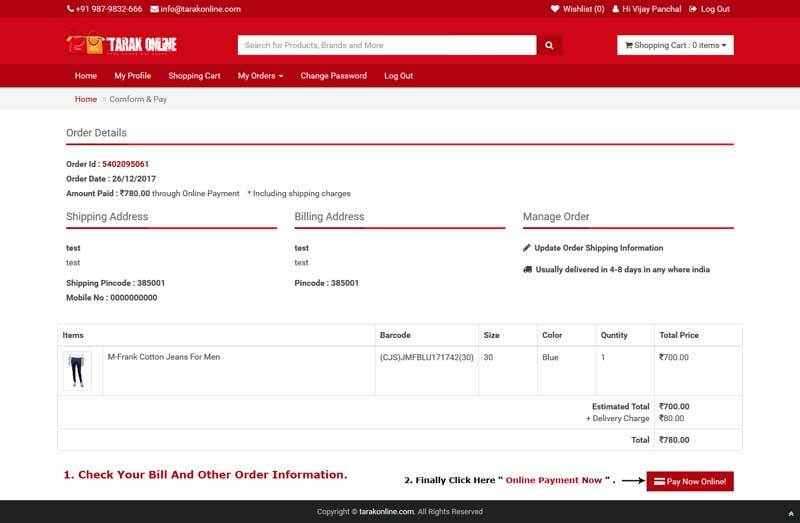 Step 13 : Finally you Click on Place Order to Purchase Selected Product in the Tarak online then You will get Order Summary. then click on "Payment Online Now!". Step 14 : You can select Your Bank name and fill up your Other detail then finally Click on pay Button. Step 15: You can select many other options available for the payment like Debit Card, Credit Card. and You can Your Card details then finally Click pay Button. 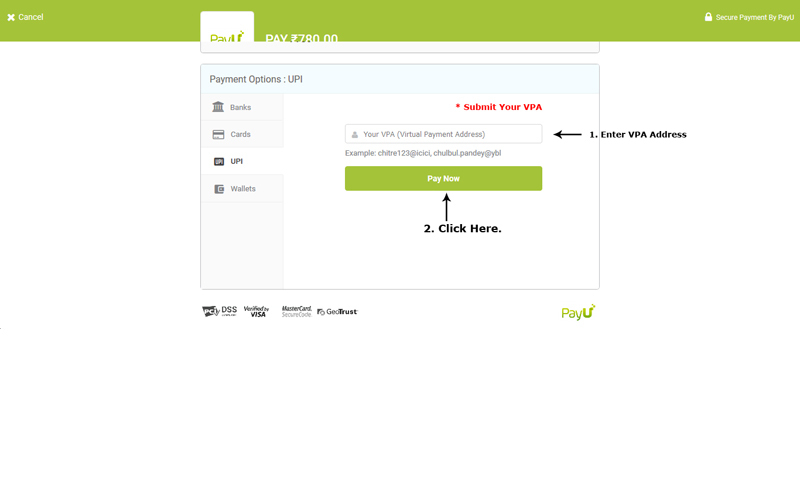 Step 16: You can VPA Address details then finally Click pay Button. 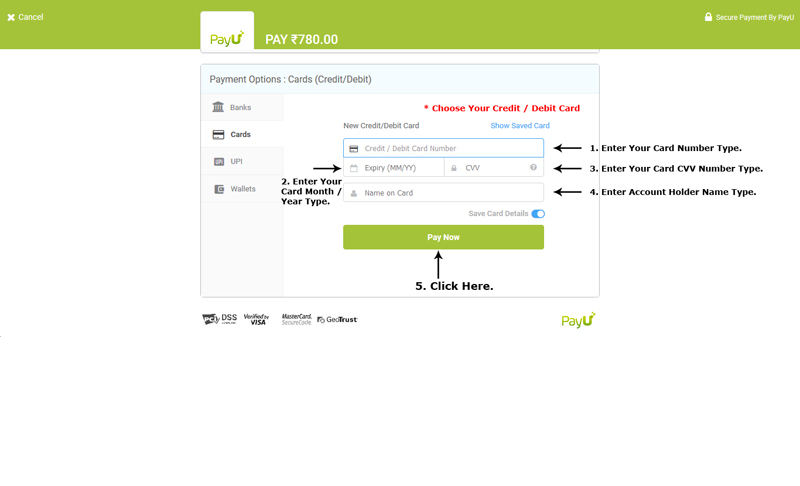 Step 17: You can VPA Address details then finally Click pay Button. You have Ordered the Item Successfully. 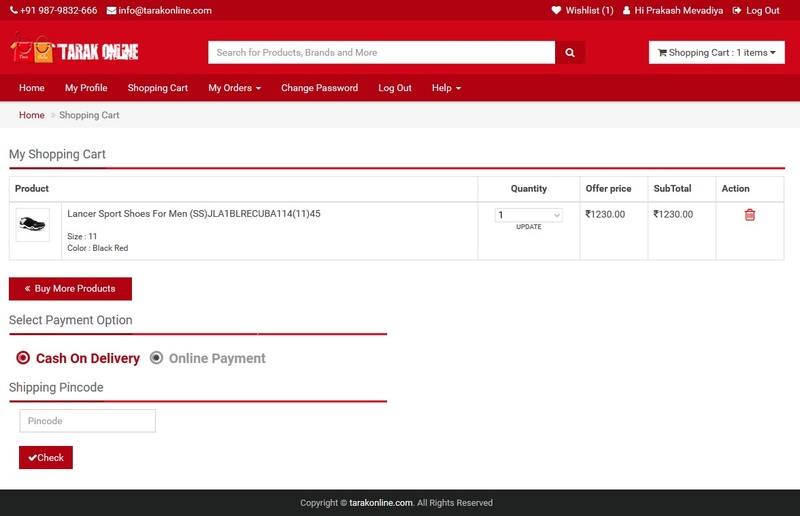 You can view the Order Summary like the date of delivery and the price of the item.